It wasn’t Rio, but there was a lot of gold on display at Spartyka Fight League 25. Spartyka’s “silver” event was held, once again at the Ted Constant Convocation Center, in Norfolk, VA. The 11-bout fight card was an abbreviate version, compared to prior events. The previous three Spartyka events each boasted a 17-bout card. A number of the bouts on the August 6th card dropped off due to insufficient medical documentation, as amateur fighters appear to still be trying to get up to speed with the new regulations and requirements. Fortunately, all three scheduled title bouts went off without a hitch. The first of the title tilts was for the Bantamweight strap. Edis Starnes, who captured the title back in June, was paired up against up and comer, Kaeon Minor, in his first defense. It was going to be interesting to see how Starnes bounced back from his loss, just two weeks prior, at Cagezilla, as he was unsuccessful in his attempt at the Cagezilla Bantamweight title. Minor, the younger brother of Spartyka Lightweight king, Damon Minor, came out focused from the start. He refused to touch gloves and immediately came out on offense. Minor, whose two previous wins both came by decision was looking for his first finish, in his biggest fight. Starnes was happy to oblige and fired back with some heavy artillery of his own. Some fighters, when they capture a title, change up their fight styles to a “fighting not to lose” style. That was not the case for Starnes who was happy to trade with Minor through the entire bout, staggering the 19-year old, on several occasions. In the end, however, Minor was just stronger, faster and more punishing for the longer amount of time and ended the fight with multiple unanswered knees to Starnes’ body, forcing referee Shaun Spath to waive off the bout at the 3:03 mark of the 2nd round. “King Chaos” showed huge potential and upside and looks like a tough out in the 135 pound division. As a side note, Kaeon captured his first title in half the amount of fights (3) as it took his brother, Damon, to capture his first. The Co-Main event of the evening pitted Spartyka newcomer, Kyle Graham, against Spartyka regular, Geno Quintin, for the vacant Featherweight title. Sodiq Yusuff, who vacated it when he turned pro, this year, previously held this title. Graham, a short and compact wrestling machine gave up 9 inches in height to his 19-year old opponent. Quintin, whose entire fighting career has been with Spartyka, suffered his first loss back in April, to Kaeon Minor. From a physical perspective, at least optically, it appeared that Graham might simply run through Quintin, in this bout. The 31-year old Graham, also the Cagezilla Featherweight champ was looking for his third win in a row and his first under his new fight team, KOA Martial Arts. Graham did what most expected him to do, get inside Quintin’s reach and drag him to the canvas. What was great to see was the continuous evolution of Quintin’s skills, as he was over-matched from a strength perspective was able to use his long legs and offensive jiu-jitsu to really give Graham some trouble in the first round. As the 2nd round started and went the way of the first, with Graham taking Quintin right back down, Graham upped the tempo a bit and moved to get his opponent out of there, perhaps wary of continuing to grapple with the Impact Martial Arts product. Graham went for broke at the 1:36 mark, overwhelming Quintin with his ground and pound, forcing the stoppage. With his second title strap, Graham stated in the post-fight interview that having moved to KOA from Gold Medal Grappling was a move that in merely three months has made him “feel like a much better fighter”. The Main event of the evening was a re-match for the Lightweight title, pitting titleholder Damon Minor against Andres Encinales. These two fought in January in the Spartyka Lightweight Tournament finals. Minor won that bout by decision, thus winning the SFL belt. In Minor’s previous 10 bouts, Encinales was the only fighter that Damon was unable to finish. In the 7 months since their matchup, quite the rivalry was built. Neither fighter touched gloves during the intro, which further proved the “competitive” feelings between the two. The differentiator in their first bout was simply Minor’s strength advantage, which culminated in takedowns. Encinales looked to possibly take some of that strength and drive from “The Bull”, by beginning the 1st round chopping Minor’s front leg with some nice low kicks. Encinales was also able to get into some good offensive positions on the ground, as well, and seemed to have a slight cardio edge by the end of the fight. The improvement in Encinales from their first fight in January compared to this fight was definitely noticeable, however, it still was not enough to defeat Minor, who kept his strap via another unanimous decision. The frightening thing, for other Lightweights and potentially even other Featherweights, should he choose to drop down, is that Damon Minor’s stand-up was head and shoulders above what has been seen from him in the past. A move, with is brother, to Eastside Muay Thai has seemed to increase his arsenal, as he actually looked to keep this fight standing, throwing more kicks than normal and a lightning fast left jab. He appeared to only go back to his grappling when pushed by Encinales. As mentioned, Encinales had Minor in some dangerous positions, but the only way to put it is that when Damon wants to get up and get out of something, he does it. Another noticeable change in Minor was how his upper body seems to have slimmed down. He looks leaner and less muscled, which appeared to help his speed and perhaps his cardio a bit. The scary part, however, is that even with the muscle loss his power still remains. This card was talent laden from top to bottom. 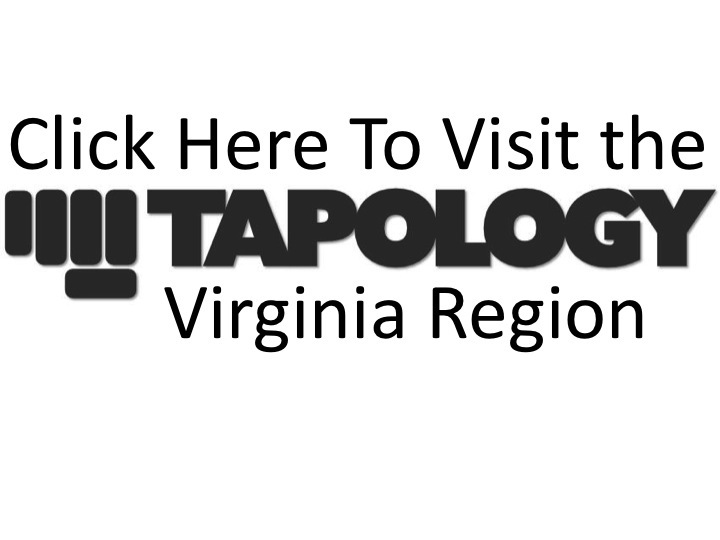 Spartyka, in 2016, has really looked to get away from having so many independent fighters on their cards, to being able to bring in not only the top talent in the Tidewater area, but good fighters from all over the State of VA and surrounding States, thus upping the talent level and fight values. The promotion has really rounded itself well by combining a great venue, higher talent fighters and production value that isn’t seen in any other amateur promotion in the State right now. Spartyka’s next event will be held right back at “The Ted” on October 22nd. For full results, please go to the Spartyka 25 event page on Tapology.com. KO of the Night: Kevin Bianchi, Jr.